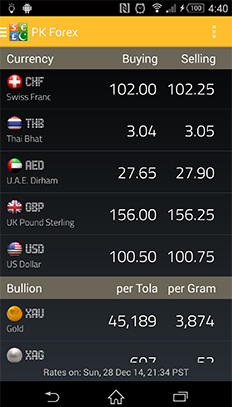 Providing you open market currency and bullion rates in PKR (Pak Ruppees). 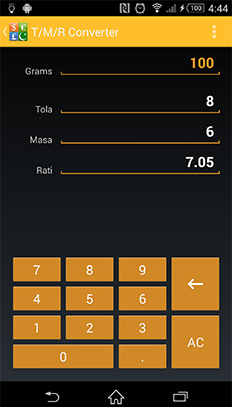 Now including currency calculator and T/M/R (Tola, Masa, Rati) converters. 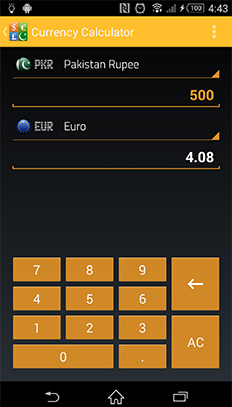 Available on the App Store and Play Store!